A great insight into Richard Nixon’s ‘Western White House’ from zillow.com, as the property has just been put onto the market for a staggering $75 million! Amazing news for all you Star Wars fans from curbed.com. Disney have announced an Star Wars themed park. 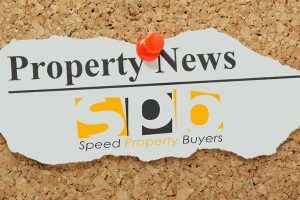 More from propertywire.com as the July property market sees the number of valuations and surveys activity down. The August property trends from rightmove.com has been released. Average property asking price is down. Stunning figures from the telegraph.co.uk as you can rent out your spare office desk for as much as a bedroom in London. A property developer has illegally modernised a historic building, report theguardian.com. Kim Gregory Davies has been told to pay £300,000 or face jail time. The latest from rightmove.co.uk and their inspiration wednesday. This week it’s in Richmond, London. More from the telegraph.co.uk mapping out the price of living near the best schools in England. zillow.com have released a list of 10 amazing Mediterranean homes for Summer. rightmove.co.uk have released the listing of Phil Neville’s home, the pictures are absolutely stunning. Take a quick peak! Great content from hookedonhouses.net, with an inside look at Katharine Hepburn’s ‘haunted’ house in Coldwater Canyon. Content from theguardian.com analyses what makes a city food for raising children. According to propertywire.com there was a huge surge in new homes built in the UK. A total of 131,000 new homes were built in the last 12 months, 15% higher than last year. A piece of cinematic history is on sale, according to the telegraph.co.uk. Buffalo Bill’s house from Silence of the Lambs is on the market.